Let’s face it, buying or selling a home is never an easy process. It requires a huge time commitment, patience, and a lot of research. Home buying is difficult because you may not know exactly what you want, or maybe you know exactly what you want but can’t find the perfect home to mark all your check boxes for the perfect home. On the other hand, selling a home for the first time brings about its own challenges like preparing your home for market, understanding the value of your home, and actually meeting with potential buyers to discuss the details. 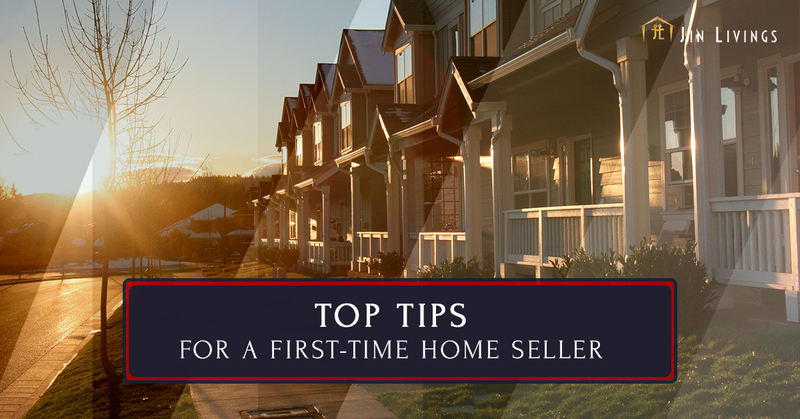 In this blog, we’re going to take a look at some helpful tips if you’re looking to sell your own home. Knowing the value of your home should be one of the first steps in preparing your home for market. This doesn’t mean approximating or going off the value of surrounding homes, however. You need a very accurate picture of what your home will sell for and how much it’s actually worth. It’s important that you’re confident about the value so that once it comes time to negotiate with buyers, you’ll know the lowest you can go. Conversely, if a buyer makes a great offer, you won’t end up turning it down. Here at Jin Livings, we make the home valuation process simple. Just visit our valuation page and fill out the form. When you walk into a grocery store, do you think that the store clerks throw everything on the shelves randomly? Not a chance! Whenever you walk into a business, everything is strategically placed to get customers to buy as much as possible. This is the same when it comes to selling a home, but you only need to sell one thing. However, this is often easier said than done. At Jin Livings, we have a number of listing packages available to first-time home sellers. If you have no idea where to begin with home staging, we’ll create a custom plan for your home including cleaning, painting, landscaping, and much more. Sometimes, home sellers struggle just getting people in their home to see it. There are likely hundreds of homes in your area for sale so you should always be prepared for some competition. One way to compete and have your home stand out more on home listing sites is to have high-quality professional photos of your home and a 3D walkthrough. Not only will this show buyers you’re committed to selling the home, but it will make it easier for them to get an idea of what your home is like without visiting it. Here at Jin Livings, we’ll take care of all of this for you with our Supersaver home listing package. The state of the local real estate market will be an important thing to take into consideration through the whole home selling process. The state of the local market will help you determine when you should be listing your home and how much you can expect to get out of it. For example, if your local real estate market is currently a ‘buyer’s market,’ supply exceeds demand and you’ll have more competition from other sellers. On the other hand, if your local real estate market is currently a ‘seller’s marker,’ demand exceeds supply and you’ll have a much easier time selling your home. You may even be able to get more money out of your home. Entering the real estate market as a first-time seller or buyer can be very intimidating, especially if you’re looking to save as much money as possible. Jin Livings is a real estate brokerage firm that aims to make buying or selling a home simple while still giving you the competitive edge over other buyers or sellers. Visit our listing packages page to learn more about our Supersaver package — great for those with show-ready homes— and our Concierge Service package — great for those who need a little TLC before listing.